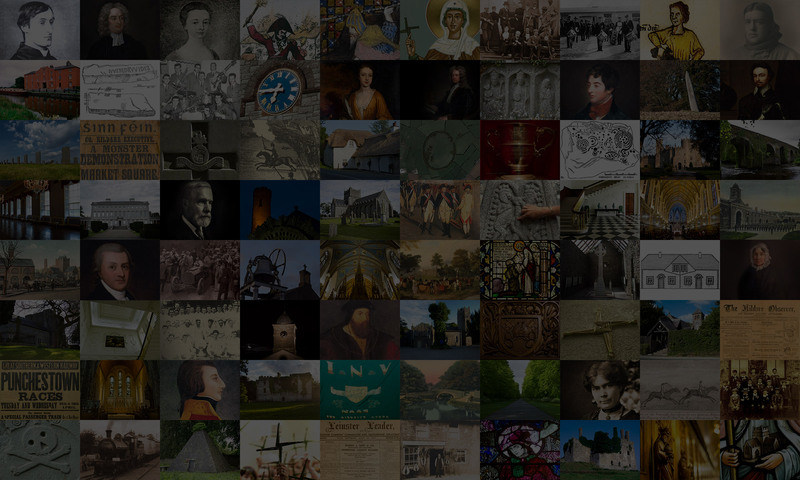 Naas has had a long and colourful history. In annals and records the name appears in three forms, namely, An Nás meaning “the Place of Assembly” Nás Laighean meaning “Place of assembly of the Leinster Men”, and Nás na Ríogh meaning “Place of Assembly of the Kings”. The latter is the Irish form of the name now used. Naas was founded, according to Bardic tradition, by Lewy of the Long Hand, and from the earliest times was an important centre. It was for almost seven centuries the seat of the Kings of Leinster. The last King to reside here was Cearbhall who died in AD904, St Patrick visited Naas in AD448 and baptised King Dunling’s children at the well at Oldtown, near the town. In 1170 the Normans arrived and the Barony of Naas was granted by Strongbow to Maurice FitzGerald. The grant was confirmed to his son, William FitzMaurice. by Henry II in 1177, Under the Anglo-Normans many changes was made. The parish church, originally dedicated to St Patrick or the local St Corban, was rebuilt and re-dedicated to St David, the Welsh patron saint. King Henry IV granted Naas its first charter as a Corporation in 1409. Four years later, in 1413 King Henry V granted the corporation power to collect tolls at all the entrances to the town. A new charter was granted by Queen Elizabeth I in 1568, adding a Sovereign to the Corporation. Naas was granted further charters by James I in 1609 Charles I in 1628, and by Charles II in 1671. The town was governed by these charters until 1840 when the Corporation was dissolved by Act of Parliament. Between 1840 and 1854 the town was controlled by a Grand Jury; it had Town Commissioners from 1854 to 1900 and since then has been under the administration of the Urban District Council.